South African sponsored IchorCoal is celebrating its arrival into ‘home port’ Cape Town at 0917 UTC (1117 local time), with an elapsed time of 351 hours 17 minutes. Sponsored by the South African mining company IchorCoal and partnered with the Sapinda Rainbow Foundation, the IchorCoal entry celebrated its arrival in the Mother City this afternoon with a toast of Stormhoek South African sparkling wine; it was a fitting end to the Stormhoek Race to the Cape of Storms. IchorCoal had taken a more southerly route and overtook a number of teams but as it closed in on Cape Town the team ground to a halt in a wind hole with DaNang – Viet Nam closing in and eventually taking a short lead. They crossed the line less than six minutes apart. 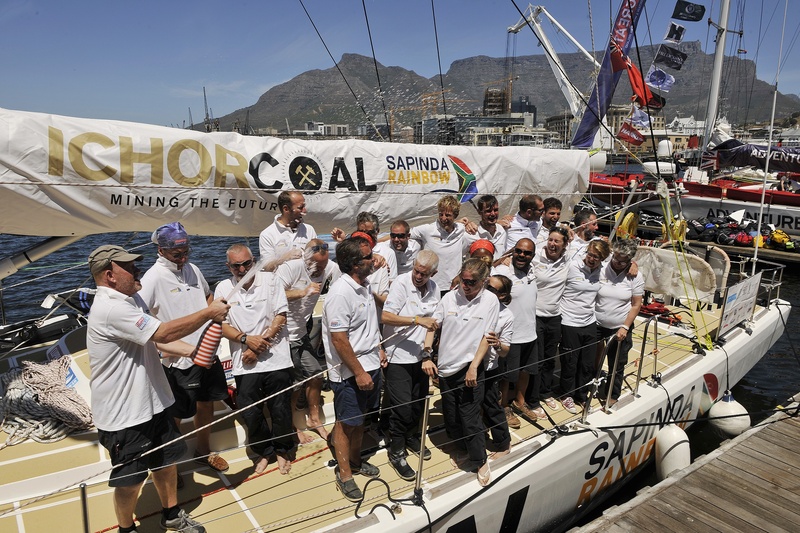 IchorCoal has additional cause for celebration as it clinched an extra two points for the fastest Ocean Sprint on the South Atlantic leg. IchorCoal Skipper Darren Ladd reports: “It was a great race, coming into our home port was amazing, it was a lot tougher conditions than I thought it was going to be. It was pretty windy, pretty rough and it really didn’t let up until about two hours before Cape Town. “We were pretty tired by the end of the race but we managed well. Race 1 was champagne sailing and we had almost no heavy weather at all. However this race was heavy weather all the way, but we got stuck into it like we always do and we are here which is great. “A few days ago we were getting close to Cape Town but still 1,000 nautical miles away and you feel like you are almost there but not quite, and everyone gets pretty tired. The conditions are relentless but the crew never gave up. We kept pushing. There was always a boat just ahead of us we could chase and we always like to do that. 20 year old Rveida Lungelo Mthethwa, from Mtubatuba, KZN is one of eight young South Africans chosen as part of the Sapinda Rainbow Foundation relay team. She was selected from over 200 applicants from across South Africa. Arriving into Cape Town, Rveida says: “The race was cold and always wet but wonderful and it was a great race, short and fun. Working with the crew was very nice, everyone is so friendly and Darren is a great skipper. I got on with everyone in the crew and I have definitely made new friends. “I couldn’t wait to sail into South Africa, especially Cape Town, as I have never been to Cape Town before. I was excited to see Table Mountain. The most difficult thing for me on this race was sleeping on the night watch when the other crew is up. You cannot sleep because the boat is always heeled over, it is very challenging. The highlight for me was everything! Despite the lack of sleep and difficulty of racing, the race was an amazing experience I will never forget. Rveida completed her matric in 2013 and wants to be a teacher and promote the culture of learning in her community. Mtubatuba has very little facilities for young people and this contributes to the high number of teenage pregnancy among young girls, some of whom drop out of school. Rveida has a young daughter herself. The ten ambassadors were shortlisted to take part in the race from nearly 200 applicants, aged 18-23, by the Sapinda Rainbow Foundation and come from a wide range of challenging backgrounds across South Africa. The opportunity, funded by the Foundation, aims to provide new personal development skills to the ambassadors so that they can inspire others in their local communities. The Foundation chairman, Dirk Van Daele, participated in the 2009-10 edition of the Clipper Race and saw a similar project make a profound difference for young people from deprived inner city areas in Europe. 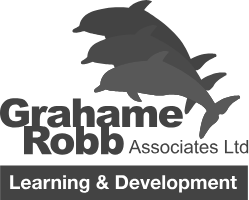 He launched the first South African initiative in 2013 and created the Sapinda Rainbow Foundation last year to provide longer term support and development opportunities for the selected candidates from challenging backgrounds in South Africa. On Tuesday 27 October the Sapinda Rainbow Foundation is hosting the world’s biggest House Party in Cape Town featuring DJ Black Coffee to fundraise in aid of its 2015-16 charity project. More details here.